Driving towards Tucson we didn’t have much of a plan; we knew we wanted to spend 2-3 days there, but due to the large number of hiking opportunities in the area we were having a hard time deciding. Once in town we went to Summit Hut, a local outdoor store, to purchase maps of the area. 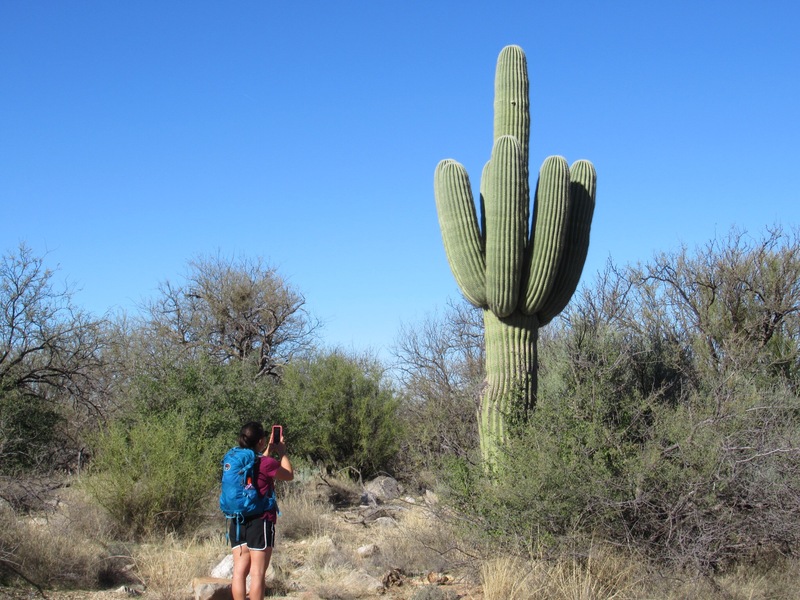 We hatched a plan, and decided to start with Saguaro National Park the next day. Saguaro has a west and east unit on opposite sides of Tucson, and we visited the east unit. In that side of the park there is a 8-mile road that drives through the park with a variety of trailheads leading back to a cluster of trails. 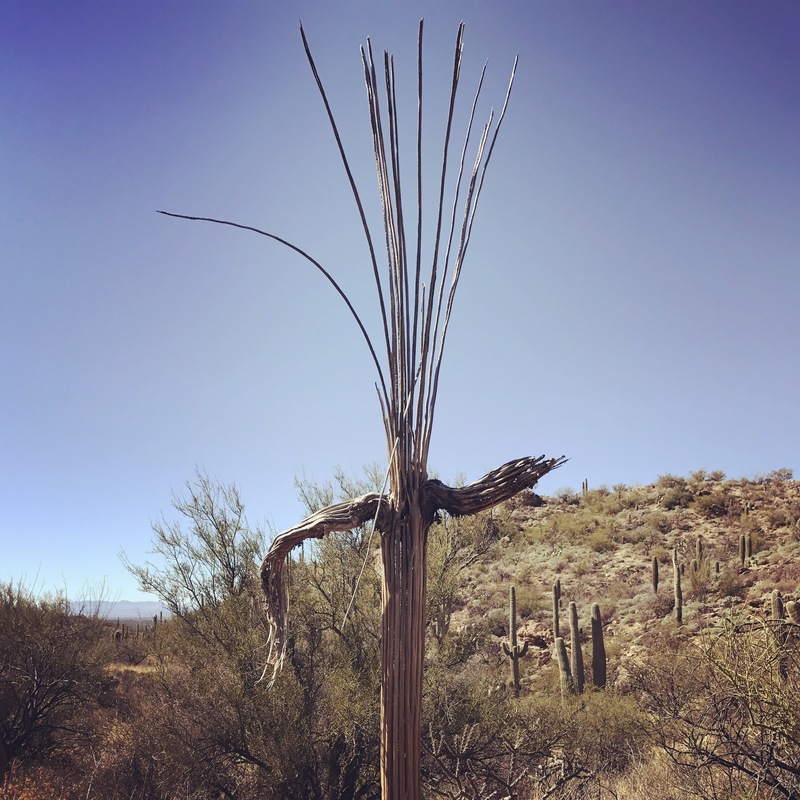 The day was sunny, but only in the 60s, so it was easy to spend the day connecting trails throughout the Saguaro forest. 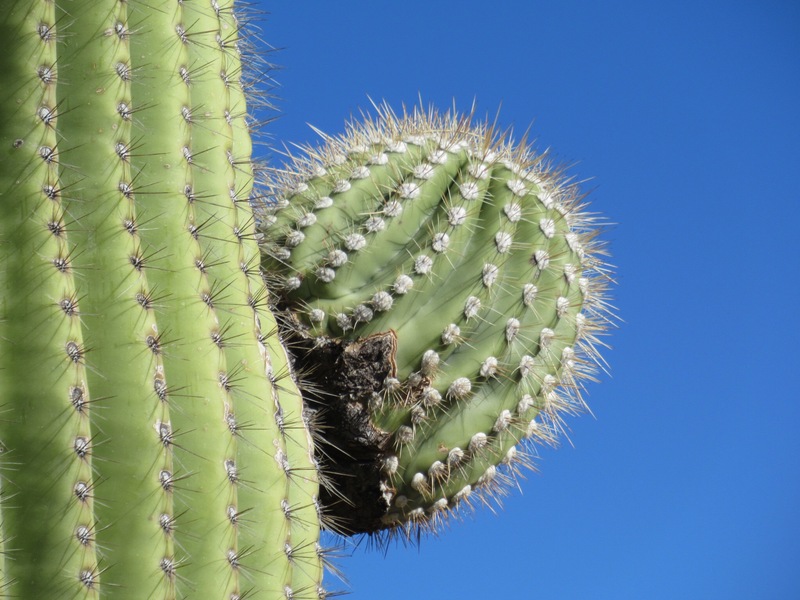 The Saguaro is the largest cactus that grows in the United States, and although it is a symbol if the American West it only grows in a small area of the Sonoran Dessert (as well as a small part of Northern Mexico). It was fun to meander through the cacti, and see their diverse shapes. We spent most of the day there piecing together a 12 mile hike, and left around 4:30pm. There is no car camping in Saguaro, so we headed across town to Catalina State Park to camp for the evening. Along the way we visited a local brewery for appetizers and a drink, and made it to the campsite with just enough time to spare to set-up camp before it grew dark; or so we thought. We were surprised to find that a sign at the campground enterance that said they were full! 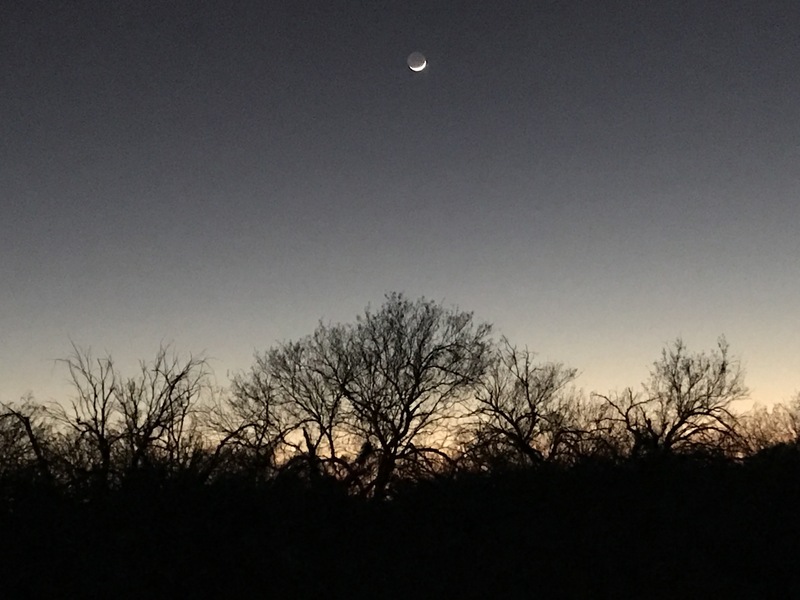 The campground has over 100 spots, but lies at the foot of the mountains surrounding Tucson, making it extremely popular with RVers as we discovered. We looped around the grounds anyway, hoping there may be a mistake, and found one spot that wasn’t reserved. We self-registered for the site, and made camp as one of only two tents in the entire park. We had planed to hike in the park the next day, but didn’t expect we’d be able to keep our spot. Sure enough the next morning when the office opened they confirmed our suspicions that they were full again. 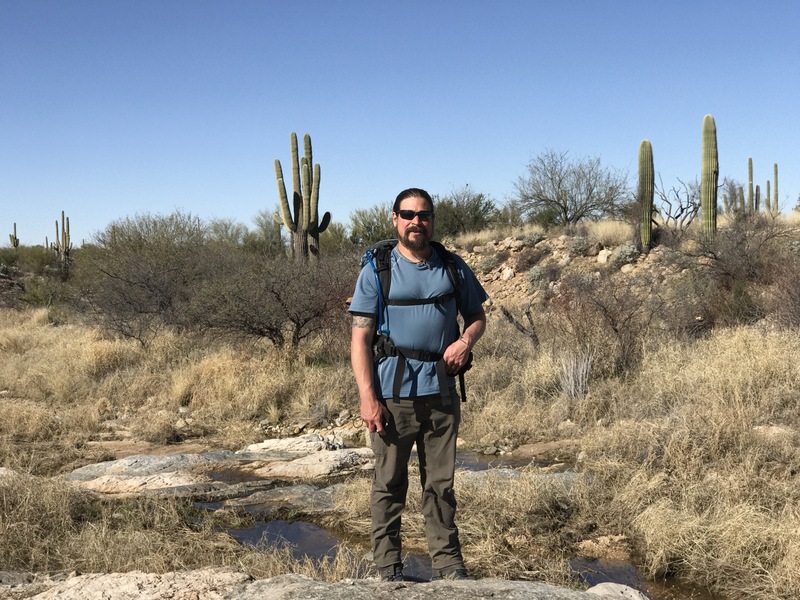 We didn’t want a repeat of having a hard time finding camping after a long day of hiking, so a bit frustrated we decided just to leave the hubbub of Tucson, and continue west towards California and other hiking pursuits. If you’re still in Tucson, try Gilbert Ray campground — fantastic place! Also, great resource for finding campsites, including a lot of free camping, Compendium.com.